An elderly woman who was found dead in a pond was killed by an alligator only hours after she disappeared from her nursing home in Charleston, South Carolina, officials said Wednesday, making it the first case of its kind in the state. The death of Bonnie Walker, 90, was accidental and caused by “multiple sharp and blunt force injuries,” the Charleston County Coroner’s Office ruled. “The injures are consistent with those which could be inflicted by an alligator and our investigation has confirmed that an alligator was involved in the decedent’s death,” Coroner Rae Wooten said. 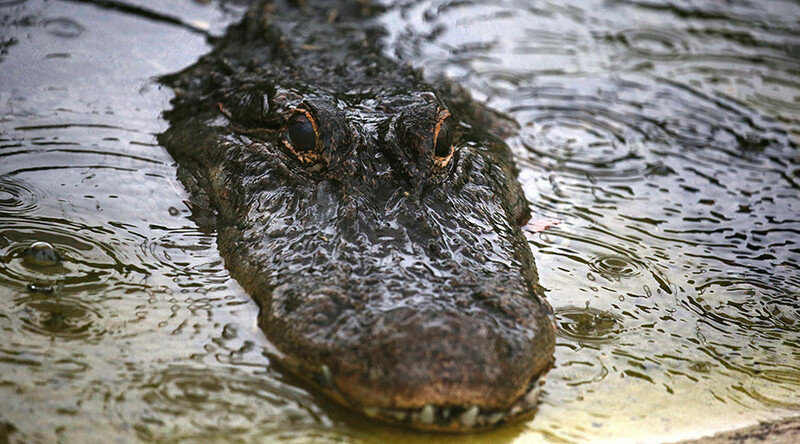 Officials from the Department of Natural Resources (DNR) announced they conducted a necropsy on the alligator and confirmed the creature was involved in Walker’s death, according the Post and Courier. In the early hours of Wednesday, the woman was reported missing from the Brookdale Senior Living Center. Her body was recovered three hours later in a retention pond behind the site. Robert McCullough, spokesperson for DNR, said the death was the first time an incident related to an alligator in the state had turned fatal. “It’s the first one as far as we’ve been keeping records,” McCullough said. Officials believe Walker slipped and fell down an embankment before landing in the water, which attracted the attention of the alligator. Meanwhile Florida has had 23 fatal alligator attacks in the last 68 years, the Courier reports, including the recent death of a 2-year-old boy outside Disney World in June.